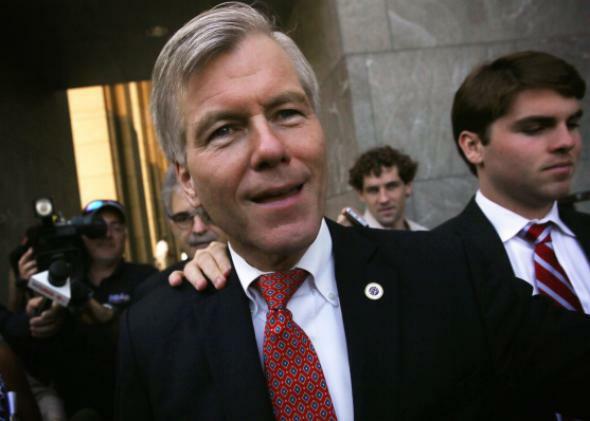 Former Virginia governor Bob McDonnell and his wife Maureen McDonnell found guilty in corruption trial. Former Virginia Gov. Bob McDonnell. Former Virginia Gov. Bob McDonnell and his wife, Maureen McDonnell, have been found guilty of multiple charges of corruption related to their acceptance of more than $150,000 in gifts from businessman Jonnie R. Williams in exchange for the prestige of the governor’s office. Bob McDonnell was found guilty of 11 counts of corruption and not guilty of falsifying loan documents. Maureen McDonnell was found guilty of eight counts of corruption and one count of obstruction of justice, and was also found not guilty of falsifying loan documents. Both Bob and Maureen McDonnell used a defense centered on the idea that their story wasn’t one of corruption, but of Maureen McDonnell’s crush on Williams and desire to seek attention from him because of the couple’s broken marriage. McDonnell had been a rising star in the GOP and had been widely considered to be a contender for the Republican party’s vice presidential nomination in 2012. The couple entered the courtroom separately on Thursday, and the family was reported to have been crying in the courtroom after the verdict was announced.